Electronic Arts is in the Plants Vs. Zombies business it seems, announcing today that they have picked up PopCap Games for what could total more than one billion in cash and stock. 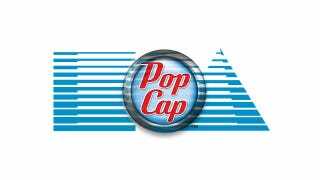 PopCap games has more than 150 million games installed and played worldwide on everything from Google and Facebook to the iPhone and Android. The purchase gives Electronic Arts a chance to dive deeper into digital platforms, something that made up about 80 percent of PopCap's revenue last calendar year. Popular PopCap games include Plants Vs. Zombies, Bejeweled , Peggle and Zuma. What does this mean for Peggle World of Warcraft Edition? When can we expect Battlefield Bookworm? These questions and more will (hopefully) be answered during an EA investor's call this evening.